Summer is the perfect time to get going on your Common App, UC or Apply Texas essay. #getitoverwith. Waiting until school starts in the fall just adds pressure to an already super stressful and busy season of your high school life. 1. Say something they don't already know. Your academic life, awards and extracurriculars are already part of your application. Write about something that isn't included in the rest of your dossier. 2. Write about a topic that reflects your values or gives insight into who you are as a person. Don't be afraid to get deep, personal and reflective. You aren't a flat character in a B- movie! Find a topic that tells admissions officer what you believe, how you feel and who you are deep down. Troll your past for experiences that demonstrate your values and authentic self. 3. Warts are okay; nobody is perfect. Don't use your essay to toot your horn or present yourself in perfect light. #soannoying. Instead, consider a topic that shows how you've grown, matured, discovered, learned, overcome, or even failed. 4. Find a silver lining. Even a topic about a tough period in your life should offer hope or demonstrate your growth and resilience. Look for ways challenges have made you a better person or opened up new doors. 5. If you're funny, be funny. Some of my favorite essays use a good bit of humor and wit to tell a personal story. If your MO is being the wise-guy/gal, let your light shine in your college essay too. Just be sure your topic reveals something more than just your knack for making people laugh. Most of my students say they "just knew" a school was their top choice after a campus tour or weekend visit with a friend. Virtual tours are great, and you can read about a school until you can recite the mission statement by memory, but there's no substitute for a campus visit. You're super busy--overwhelmed actually--your senior year, so get those visits in before next fall. 2. Get to know your school counselor. If you attend a large public high school, you may know your counselor only well enough to pick him out of a lineup, but it's a good idea to forge a slightly stronger connection. Your school counselor will write one of your college recommendations, so the better your counselor knows you, the more authentic and enthusiastic his or her endorsement of you can be. Schedule a couple of brief meetings with her this spring to discuss your college dreams and plans, and brag about some of your recent accomplishments. 3. Max out your ACT/SAT score. Your test scores and GPA are the two most important factors in determining your access to moderately or highly selective colleges. Don't underestimate the power of test prep, and commit to studying a few hours each week. You CAN increase your score significantly with practice. Yes, it's a PIA, yes it's boring, and yes, it should be a HUGE priority this spring. You'll want to be finished testing by June so you can ease your load in the fall of senior year. 4. Estimate financial need and college costs. It's the part of college we DON'T want to think about, much less plan for. But, it's time to "adult" a little bit and start looking at what your dream schools cost, and whether you can afford them. Parents of juniors can use each college's online Expected Family Contribution calculator to find out what they will have to pay, at a minimum, for one year of school. Your EFC often doesn't represent what you believe you can afford to pay for college, but colleges use these figures to help determine financial aid packages. You can also start surfing for potential scholarships through popular search engines like FastWeb, and Peterson's. Your school counselor will also have access to a good list of scholarships and financial aid options. 5. Stick with your extracurriculars. Junior year is not a good time to decide to quit band, lacrosse, dance team, robotics or any other activity that you have been heavily involved in during high school. Colleges like to see students who are passionate and engaged in at least one important extracurricular activity. And it's even better if you can plan a summer job or volunteer experience that aligns with that passion. You should also work toward a leadership opportunity within your activity of choice so that admissions personnel can see you are taking on more responsibility and are an influential member of the group. Dress for the weather. You're going to walking around a lot outside (barring a hurricane or tornado alert). Visiting Northwestern in January means you'll need a very heavy coat and boots. A stop at Rice University in July requires short sleeves and lots of anti-perspirant. It goes without saying...don't wear new shoes! Ask good questions. Think of questions you don't see answered in college brochures or websites. You might ask, "What is the glue that binds social life?" "What type of student is most successful here?" "What are some popular traditions?" "How helpful is the school with career planning?" "How would you characterize the student body politically?" Type up a list and put it in your pocket in case you get tongue-tied. Give a little bit of your life to someone in need! Summer is a great time for students to create opportunities for yourself, whether it be leadership, community engagement, athletics or entrepreneurship with a small business. Standing out in the college admissions process means doing things differently than the typical high school student. This is especially important if you have your sights set on a top-tier university. But even if you just want an extra edge for your reach school, unique resumes that demonstrate initiative can mean the difference between a "yes" or a "no" to your dream school. Here are some ideas to get you thinking about how to separate yourself from the pack. The best part of running your own business is the flexible hours! Start your business by 10th grade and watch it grow. You can still make football practice, piano lessons, cheer camp, and all those other important activities that you are already involved in. What kind of business? Think about your passion. Love fishing? Run a fishing camp for neighborhood children, boy scout troops or YMCA day-campers. Tech-saavy? Advertise on NextDoor.com or through your community or school job boards to provide computer support to students or families in your area. Top colleges like to see INITIATIVE. Be an "extrapreneur"...look beyond NHS, Key Club, and Yearbook to show that you are a go-getter with the ambition to make things happen OUTSIDE of school. See something in your community that could use an overhaul? Launch a grass roots movement to change it. Even if you are already involved in NCL or YMSL, it reads much better to college admissions officers when YOU do the leg work and run your own operation. Many students will already show those organizations on their resumes. So do something that sets you apart. Start by reaching out to community leaders with some solutions and get their support. Recycling, park clean-up, food drives for North Texas food bank, elder meals and transportation, book drives for underserved schools and libraries are just a few ideas. You are not to young to make a big impact. So get out there and start changing the world by changing your neighborhood first! Learning for learning's sake is important if you're reaching for a selective school. These schools want to see that you are intellectually curious, not just academically competitive. All those AP and IB courses you're taking will show up on transcripts from students just like you, with test scores just as high as yours. Use the summer to add something extra through an online course, or perhaps add an AP course that is not offered at your school. Take another foreign language or participate in a study abroad language immersion program. If you're into music or theatre, take courses through an arts or music conservatory. If you're a scientist, participate in research programs for high school students. Locally, The Hockaday School and Greenhill School both offer excellent summer study options. Keep in mind that how you spend your time in the summer says a great deal about the type of individual and student you are. Be unique, and use your gifts and passion to make a difference! New Apply Texas Essay Prompts for 2017! ApplyTexas, your stop for University of Texas, A&M, UNT, Texas State and other Texas schools has announced that they have NEW essay prompts for students entering in Fall 2017. Topic B: Some students have an identity, an interest, or a talent that defines them in an essential way. If you are one of these students, then tell us about yourself. Topic C: You’ve got a ticket in your hand – Where will you go? What will you do? What will happen when you get there. Need some guidance on how to tackle the new questions? Here are some ideas to get you thinking this summer. Topic A: For this prompt, I suggest you write about the "world" you come from. Select just ONE part of your "world," such as your family, your school, your church, your neighborhood, and tell a story about how a specific person, event or place has shaped or changed you in some way. If something in your background has been an obstacle or challenge, and caused you to struggle personally, I would strongly consider writing about this. If you've lived in a "perfect world" up to now, be careful not to come across as entitled or narrow-minded. 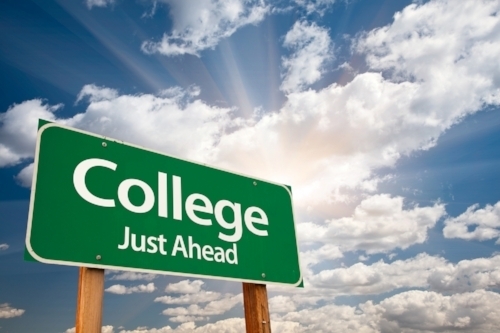 Colleges want to see students who are open to new experiences and ideas. Be detailed, be specific, be creative, but don't be ordinary! Topic B: Lucky you! This one is really similar to Question 1 on the Common App, so you can "be green" and recycle your ideas if you plan to use both applications. It's crucial to be sharply focused, so think of a specific example or “time” you can use to illustrate something about the identity, interest or talent you want to showcase in your essay. From there, you can describe how it has defined you and why it matters to you. Topic B is probably the best place to feature your area of interest or what you intend to study in college if it relates to your identity or passion. So include that if this sounds like you! When you're ready to get going, I can help you brainstorm, shape and edit your essay.